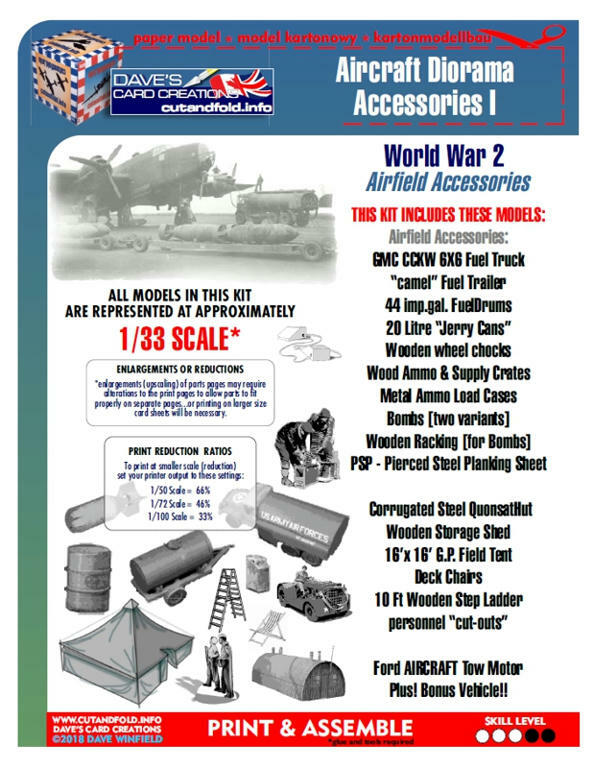 Airfield Diorama Accessories Kits updated! but if nothing else, its got me playing with design work again. I am updating my original Airfield Accessory Kits. 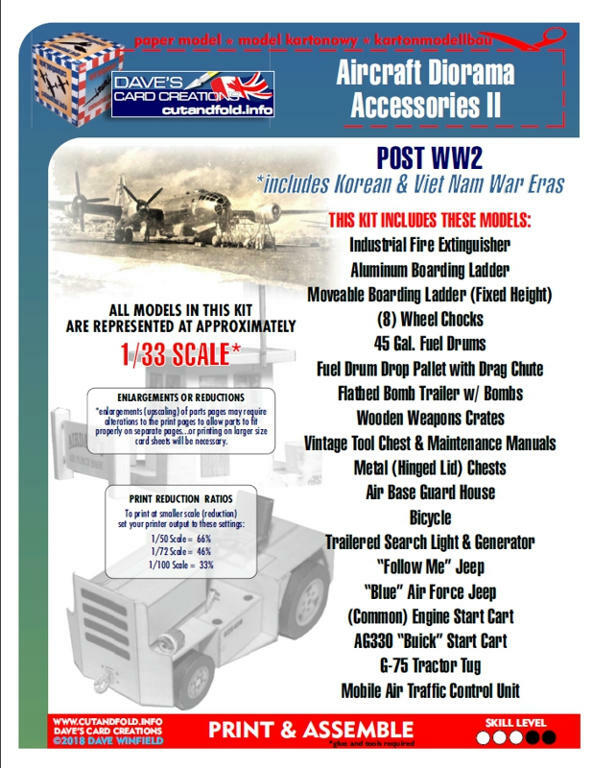 Airfield Accessories I Airfield Accessories Diorama Parts 1/50 scale Kit + CONTEST! The original kits were done in 1/50 scale. They can of course, easily be printed at smaller scales. But upscaling requires bigger format printing or editing the pages. 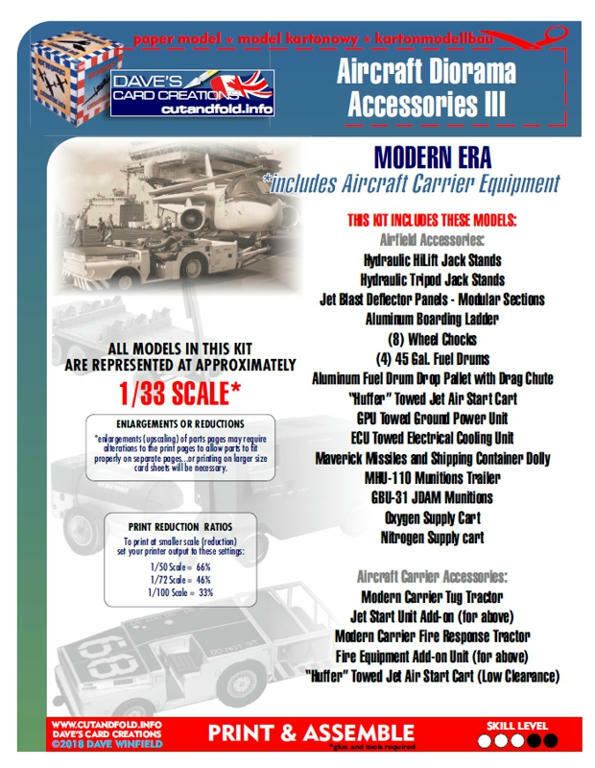 Someone recently brought up the idea of using the accessories with my 1/33 aircraft models. All my Mustangs, P47s, Spitfires, etc are 1/33 scale. And they asked about enlarging the prints. and upscale everything to 1/33. I think the quality is there in the models to suit the upsize. but the artwork makes them good enough for the larger scale. And print reductions are still a snap...just output at any reduction percentage. So thats what I am working on now. That, and releasing a new batch of Koolwheelz models. And, as I said, I am hoping to keep the flow going and get back to working on the Civil Aviation Accessories Kit. Definitely up for this. I also see a need for WWII & modern US Navy carrier equipment and deck crews. Even just the little tug used in late WWII. You can count me in, Dave. Need some inspiration for civil ground equipment? Glad to see there is some interest in this. I have just completed updating all my existing Airfield Accessory Kits. They are now 1/33 scale...with instructions on printing at smaller scales. I'll publish the new kits very soon and make a formal announcement when that happens. I've cleaned up pages layouts and moved a few things around (there are more pages obviously). I've also added more assembly notes and build diagrams (wherever room allows). Prices for these kits will not increase.